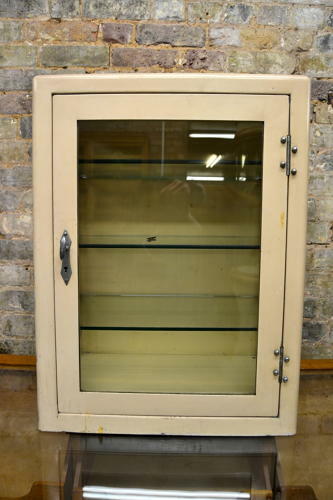 This is a small white medicine or pharmacy cabinet from the 1930s. It has three glass shelves with a lovely chrome handle. The cabinet does lock and naturally comes with the key.